DRD Tactical KIVAARI, Paratus and CDR-15 Backpackable/Manpackable Quick-Takedown Semi-Auto Tactical AR Rifle/Carbines Get New Nickel-Boron (NiB) Battle Worn Finish! | DefenseReview.com (DR): An online tactical technology and military defense technology magazine with particular focus on the latest and greatest tactical firearms news (tactical gun news), tactical gear news and tactical shooting news. DefenseReview (DR) has been publishing information on DRD Tactical AR-type quick-takedown AR-type semi-auto tactical rifle/carbines for the last few years, starting with the DRD Tactical Paratus 7.62mm NATO (7.62x51mm NATO)/.308 Win. quick-takedown semi-auto sniper rifle, and finishing off with the DRD Tactical KIVAARI .338 Lapua Magnum (.338LM) quick-takedown semi-auto anti-materiel/sniper rifle, which was introduced at SHOT Show 2015. Both of these rifles are backpackable/manpackable, and are serious long-range ballistic performers. And, as such, they’re ideally suited for clandestine military Special Operations Forces (SOF) missions and hunting. Well, the Paratus, KIVAARI and CDR-15 5.56mm NATO (5.56x45mm NATO)/.223 Rem. 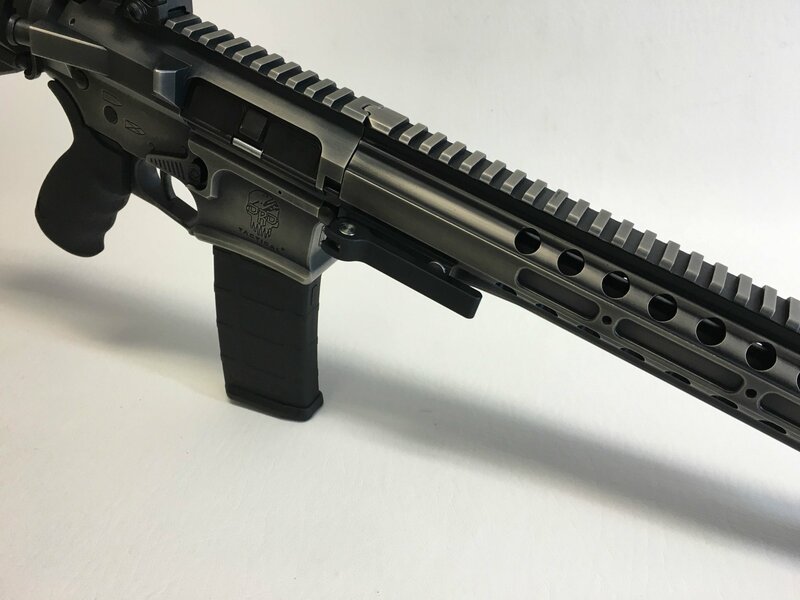 and 300 Blackout (300BLK) quick-takedown semi-auto AR rifles all just got a new look with a pretty bangin’ Nickle-Boron (NiB) Battle-Worn finish option, which reminds DR of the distressed/patinated finish on the Midwest Industries MI 16-Inch Mid-Length Rifle M-LOK Compatible Tactical AR-15 Carbine with MI SSM Free-Float M-LOK Tactical Handguard that we handled a bit at SHOT Show 2015. Defense Review really likes the visual aesthetic of the NiB-Battle Worn finish, and would eventually like to acquire an AR with it. In the meantime, we hope to see some DRD Tactical riflle/carbines with the NiB-Battle Worn finish at SHOT Show 2016 in a couple weeks. 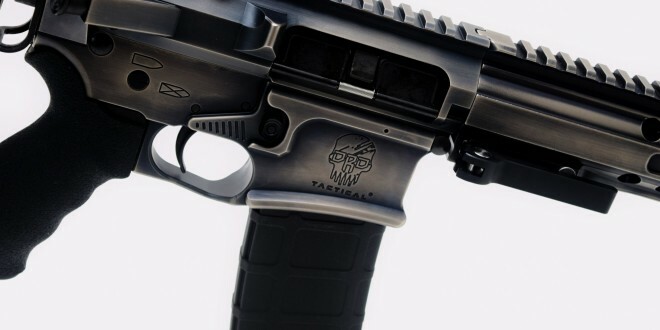 Dallas, GA: DRD Tactical is happy to announce that we now offer all our complete Rifle systems with Nickel Boron-Battle Worn (pat-pending) finish. Modern Sporting Rifle owners are familiar with Nickel Boron bolt carrier groups and rifles, but this new process gives the rifle the awesome battle worn look on top of Nickel Boron. 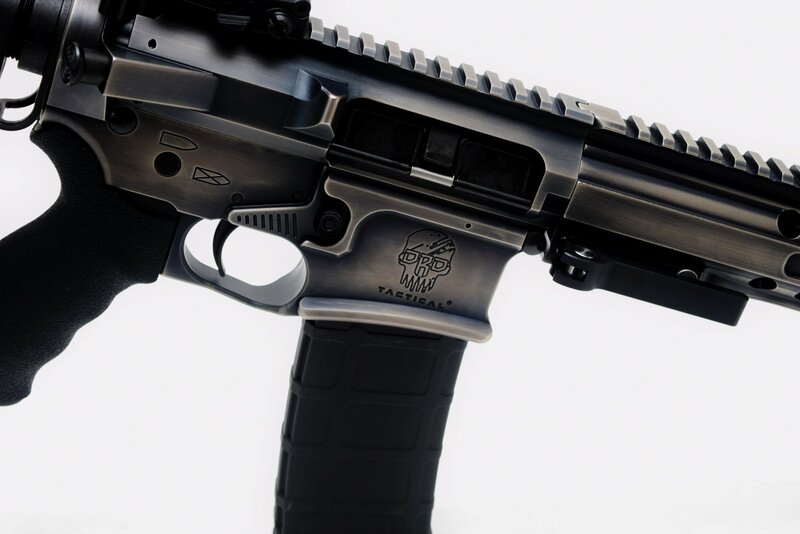 DRD is the first OEM to go with this new process for production rifles provided by Tactical Firearms Solutions. DRD Tactical specializes in design and manufacturing of patented Take Down Rifles in 7.62 Nato, 338 Lapua Magnum, 5.56 Nato and 300AAC, in our modern CNC manufacturing facility. Previous: Source Patrol 35L Hydration Cargo Pack Combat/Tactical Hydration Backpack: The Ultimate 3-Day Pack! Next: Cobalt Kinetics Evolve 3-Gun Competition/Tactical AR-15 Rifle/Carbine/SBR with Cobalt Advantage Reload System (CARS) Magazine Auto-Eject/Bolt Carrier Group (BCG) Auto-Release Feature: Coming Soon to a Competition or Combat Theater Near You!